Should startups fire under-performing employees? If yes, how? Irrespective of the reasons, asking an employee to leave is always a tough call, and almost always a stressful situation for all individuals involved. Because it is tough to get people to work for a startup in the first place, often entrepreneurs hesitate to fire an employee even if he/she is a misfit in the organization. Also, they worry about the impact it will have on the other employees. And these are valid concerns. People management is a critical role that entrepreneurs have to learn play, and play well. Founders should budget about a third of their time in people management, including thinking about the right team structure; roles & responsibilities; finding the right talent; interviewing; onboarding; engaging and nurturing the people in the organization. When hiring a person for a startup, founders have to make sure that prospective team members understand the challenges and the dynamics of working in a startup. Often people who have not worked in startups have no idea about how different it is to work in a startup versus working in established companies. In a startup, as the team is figuring out what works and what does not, often adjustments will be made in many different aspects of the business – on the business model; product/service; pricing; customer segments; markets; positioning, etc. To someone who does not understand that this is the way most startups figure out their ‘model’, it will appear as if the entrepreneurs are not focused or not clear or are a confused lot. This leads to frustration and discomfort for an employee who was not prepared for constant changes in the business. When hiring people for startups, entrepreneurs should make efforts to explain these dynamics. They should also clarify that the startup is likely to be lean, resource starved and cannot be expected to be ‘a smaller version of a large company.’ A startup is fundamentally different from an established or larger organization. But despite all this, there will be situations when entrepreneurs need to take the tough call of asking someone to leave. Do remember however, that for startups, where the right model is yet to be discovered, it is important to hire people for their attitude and drive rather than for their competence on a particular aspect. Hire people with passion and enthusiasm. Hire people who are responsible and self-driven. If they are not, then even their competence for the role is not going to be effective in a startup. When should an employee be asked to leave? My view is that if an employee is a misfit for a startup, entrepreneurs should talk to the person at the earliest, see if there is a way of improving the situation, give the attempt appropriate time, assess the results and if the situation does not improve, then ask the person to move on at the earliest. You have to do it sensitively but swiftly. And very clearly, objectively and without hesitation. In a large team, a few non-performers do no make too much of a difference. However, in a startup, there are likely to be only one or two people driving any key function, and an under performer in small teams impacts the overall performance of the organization. Also, tolerance of under performers by the management also has an adverse impact on other employees. Hence, entrepreneurs have to be clear and swift about asking the person to leave in case you assess that the relationship is not working out. Of course, if there are integrity issues, cheating, misappropriation of funds, or any other ethical issues, the person should be fired there and then. Yes, there will also be situations when startups need to ask people to go (and sometimes ask good people to go) because the business can no longer afford them. These are tougher to handle. But in the interest of the others and the business, often entrepreneurs need to do this as well. How should the firing process be handled? An entrepreneur’s first priority should be to retain an employee that has been hired after ensuring that he is a good match for the organization. As an entrepreneur, it is important to assess why an underperformer is not able to deliver, make attempts to address the core reasons, have a clear talk with the person, assist the person in overcoming the challenges and basically do everything you can to make the engagement work out well. If after all this, it is still not working out entrepreneurs should be swift in asking the person to leave. Handle the announcement responsibly and with respect to the person. Often it is best to make a joint announcement (entrepreneur and the person leaving) to the rest of the team, saying that the person has decided to move on to pursue other opportunities. There will be some skepticism within the team, there will be doubts on whether the business is in trouble or whether the organization has a ‘hire & fire’ culture. Address these concerns one on one. Proactively. Speak to each employee if possible. Of course, it is also important to do an exit interview with the employee to take feedback on the team, the leadership, the company, culture, etc. 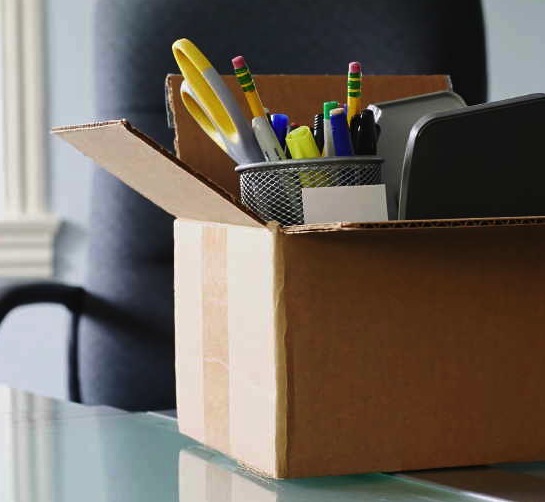 Often employees who are leaving can provide excellent and valuable insights to entrepreneurs. Net: Firing someone is tough. But if it needs to be done, it should be done. Previous Previous post: Harish Bahl (Smile Group) — What Should A Start-up Keep In Mind After Raising Funds? Next Next post: What is the important distinction between listening to what focus groups say and watching what your customers do?